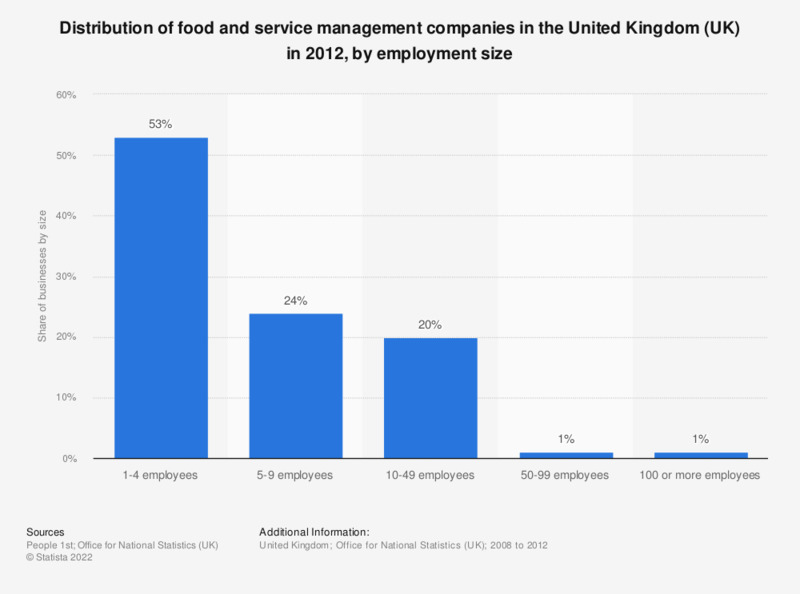 This statistic shows the share of food and service management companies in the United Kingdom (UK) in 2012, based on the number of staff members. 53 percent of companies had 1-4 employees and 24 percent had 5-9 employees. Why would you be willing to spend more with a company that provides excellent customer service? Why would you not be willing to spend more with a company that provides excellent customer service?